OPAS stands by the quality of all our machines and tools. Why risk using anything else? In a professional environment these powerful and long lasting workshop machines can deliver significant commercial efficiencies and OPAS are very happy to offer advice on the best tools for your application when you enquire about a press. 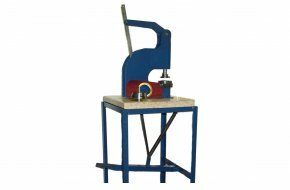 This is a top quality portable eyelet setting machine that is small and light (9kg). Simple to operate the machine punches a hole and sets the eyelet and washer in one operation. It is suitable for self-piercing eyelets from 6 to 13mm with easy change tools. 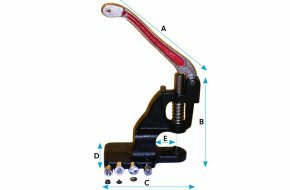 For repeated operations in a manufacturing process, this foot operated press is quick, accurate and easy to use. Heavy duty construction means a long life and we provide tools to suit virtually any size eyelet, grommet, press stud, or rivet and cap. Rivet and cap setting dies for 6mm heads, designed for use with the OPAS G48 bench press. Rivet and cap setting dies for 8mm double domed heads, designed for use with the OPAS G48 bench press. Rivet and cap setting dies for 10mm double domed heads, designed for use with the OPAS G48 bench press. Self piercing rivet tools, 8 x 6 x 3mm, designed for use with the OPAS G48 bench press. Self piercing rivet tools, 8 x 7 x 4mm, designed for use with the OPAS G48 bench press. Rivet and cap setting dies for 12mm double domed heads, designed for use with the OPAS G48 bench press. Eyelet tool for size 200 eyelets, designed for use with the OPAS G48 bench press. Eyelet tool for size 500 eyelets, designed for use with the OPAS G48 bench press. Rivet and cap setting dies for 9mm double domed heads, designed for use with the OPAS G48 bench press. 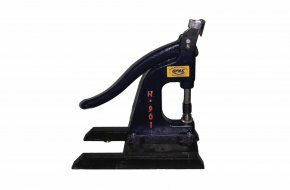 Hole punch for size 200 eyelet (4mm diameter hole) for use with the OPAS G48 bench press. Hole punch for size 500 eyelet (5mm diameter hole) for use with the OPAS G48 bench press. Hole punch for size 700 eyelet (7mm diameter hole) for use with the OPAS G48 bench press. Durable DOT setting dies for use with the OPAS G48 bench press. Setting die for G104A press studs with 15mm top and small underparts for use with the OPAS G48 bench press. Setting die for G104B press studs with 13mm top and small underparts. This tool can also be used to set Baby Durable DOT for use with the OPAS G48 bench press. Rivet and cap setting dies for 7mm heads, designed for use with the OPAS G48 bench press.